Home ♦ Featured ♦ Insane Rally Crash: Mineshaft! Rally crashes are pretty ridiculous, but mineshaft produces some of the most insane rally crashes in pro rally. There’s something about the way the road drops off down under. The drivers have to know what’s coming. There are a ton of signs. There were cautions in the notes. The driver must have thought he was traveling at a decent enough rate for the drop. He was way wrong. One moment he’s just driving along and there’s a few signs and then BAM, the road disappears. 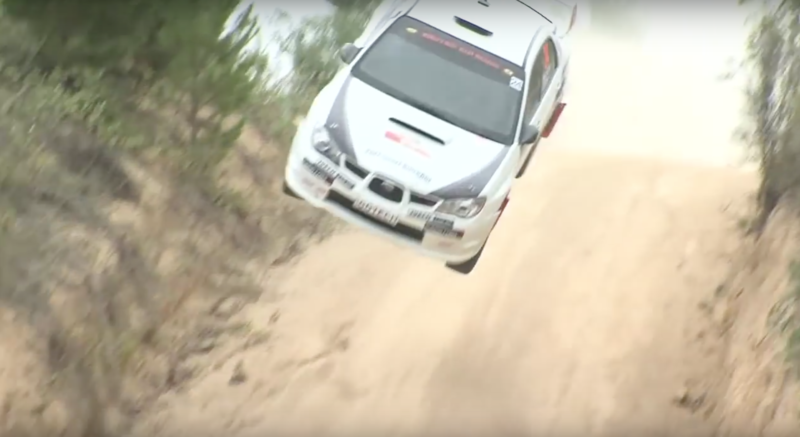 It’s a famous stage called Mineshaft on the rally of Canberra which is part of the Australian Rally Championship. On a side note, how awesomely smooth do the roads look down under? Well until the road disappears…. Here’s the video. It’s ridiculous they let rally drivers race on this. There is always going to be one guy that just goes for it because it’s there. Check this crash out at Mineshaft. You really get a feel for how steep it is from the side camera angle.